This past month, a few of my friends and relatives have given birth to baby girls. You know who you are: Congratulations!! (now stop reading my blog and get back to resting!) A few more are waiting to find out if they'll be registering for pink things. It's all very exciting. It's also reminding me of something very important. I'm thinking about pink lately, not only for my own good, but for their little futures that are just beginning. You see, October is Breast Cancer Awareness Month. In honor of this, I'm making my personal blog pink and posting some links that will hopefully bring about awareness for this horrific disease that affects too many people we know, love and care about. 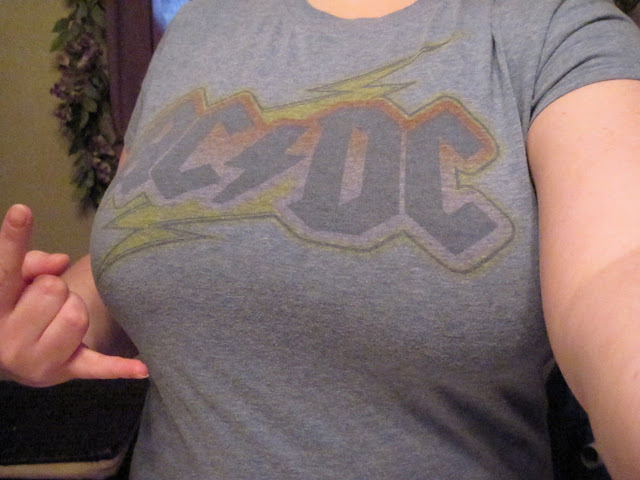 because it rocks and I hope it's a reminder to you and your loved ones to do your self-breast exams each month! Have you checked today? Stop reading and do it now. Go ahead. I'll wait. It would be devastating if I ever lost these to breast cancer, so I'm constantly checking and trying to be self-aware. I have a few family members who have had different types of cancer so my risk is a bit elevated. Do you know if you're at risk? I urge you to visit the National Breast Cancer site and register for an Early Detection Plan. I did it. It's fast and easy. It's also a good way to set up some reminders to do your exams. I'm serious. All it takes is a click, or two or seven. Tell your friends. Thanks for taking the time to remember and remind. Go tell your friends!